As the monsoon winds bring rain to the shores of Vembanad Lake, the Kumarakom is transformed into a rich fertile land. The streams, lagoons, brooks break their banks and provide nourishment to springs and shrubs that sprout from every available space. Water birds, migratory birds, mangrove shores and the renowned bird sanctuary form their niche. The resorts nearby offer comfortable accommodation and exclusive leisure options like an Ayurvedic massage, yoga, meditation, boating, fishing and swimming. The adventurous could indulge in water sports such as windsailing and waterskiing. You could even take a canoe out into the quite lakes and armed with a fishing rod, catch your own supper. Make sure you do not miss out on Karimeen and fresh toddy, the favourite fresh water food and the local wine. The local spring season emerges from August and coincides with the harvest festival of Onam, blooms the tourist and the local people. 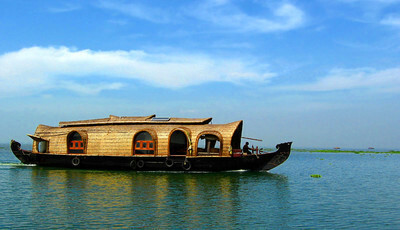 -through the backwater country that offers a glance of the rustic Kumarakom life. - the swaying paddy fields with the herds of ducks and other water birds. the occasional call of the migratory bird. All liven up an image of that eternal beauty for which Kumarakom is much famous. Climate: Kumarakom enjoys a well-balanced tropical climate. The lowest and highest temperatures recorded are 16.10 C and 37.80 C. There is always a cool, fresh breeze, which makes even the warmest weather readily agreeable. The South West monsoon is from early June to early August. However, slight drizzles persist till early November. Average rainfall is 1100 mm per year. The peak tourist season is from November to March. Pathiramanal (sands of midnight), an enchanting island on the lake, can be accessed by boat fromhere. This 10 acre island on the backwaters is home to many rare varieties of migratory birds from different parts of the world. According to mythology a young Brahmin dived into the Vembanad Lake to perform his evening ablutions and the water madeway for the land to rise from below. The island can be accessed only by boat. A cruise along the Vembanad Lake is the best way to experience the sanctuary. Kottayam is an ancient town famous for its churches, especially the 700 years-old churches, the Cheria palli ('small church') with exceptionally lovely paintings over the altar and the Valia palli('Big Church') perched on a picturesque hillock over a small cluster of houses. In the St.Mary's Church Kuravilangad built in 355 AD there is an old bell which bears a hitherto undeciphered inscription. The mortal remains of the blessed Alphonsa and the Blessed Father Chavara are entombed at the St.Mary's Church at Bharananganam and the St.Joseph's Monastery Church at Mannanam respectively. Thousands gather at these holy shrines during festive occasions. Pala town and Kanjirappally, nourished by the Meenachil and Manimala rivers respectively are centers of rubber plantations. The Ettumanoor Shiva Temple 12 km north of town, has exceptionally beautiful wall paintings and sculptures inside the temple. In the heart of Kottayam town is the much venerated Thirunakkara Mahadeva temple. 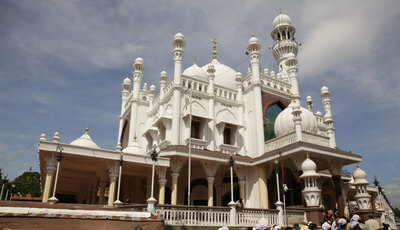 This is an important pilgrim centre for the Hindus and Muslims. Sree Dharmasastha Temple here is an ancient temple dedicated to Lord Ayyappa nearby which there is a Muslim Temple. It is a ritual to visit both of these temples before going on to Sabarimala Temple. This symbolises the unity between the Hindus and the Muslims. 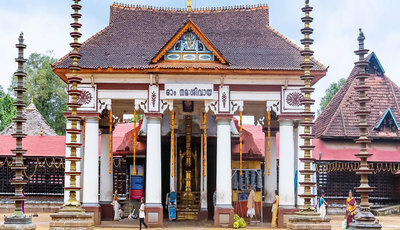 This place is famous for the Pettathullal, a festivity that happens annually on the 27th of Dhanu (Malayalam month), which usually comes during the months of November – January. This festival commemorates the slaying of the demon Mahishi by Lord Ayyappa. Pilgrims going to Sabarimala alight here. 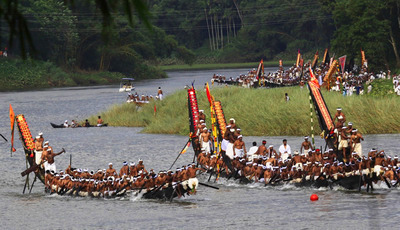 50 kilometres from Kottayam, Aranmula is the site of the splendid Onam festival boat races, usually in early September. These races unlike the more sporting Nehru Trophy race at Alappuzha in August are essentially religious, based on a temple festival. Caparisoned elephants with beaded umbrellas, processions of decorated floats, and highly ornate boats make this a lovely event to witness. Aranmula is also the centre of bell metal mirror crafts especially the ‘Aranmula Kannadi’. The Pullikkunnumala Mahadeva Temple is one of the famous temples of this place. From Kumarakom this place is at a distance of 60 kilometres. Far away from the hustle and bustle of the city lies the quiet and lush green city of Vagamon/ Wagamon, situated 1,100 meters above sea level. The National Geographic Traveller has listed Vagamon in their directory of the ’50 most attractive places to visit in India’. This place is known for eco-tourism and it lies at the hills located at the Idukki- Kottayam border. Kurisumala, Motta Kunnu, Pine Forest, Thangal Hill, Murugan Hill and so on are some of the attractions at Vagamon. For those who seek adventures, Vagamon offers you many activities like rock climbing, trekking, mountaineering and paragliding. The non adventurous visitors can sit back, relax and enjoy the scenic beauty. 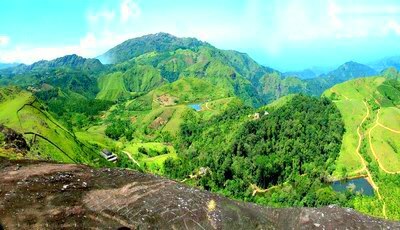 Vagamon is often referred to as the ‘Scotland of Asia’. It is home to a large variety of flora especially orchids. 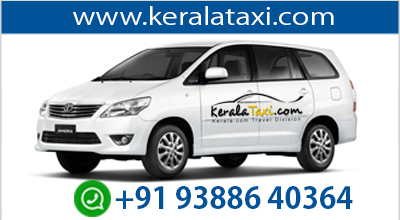 Located at a distance of 80 kilometres from Kumarakom. 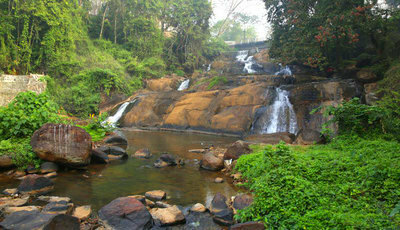 Elaveezha Poonchira is yet another picnic spot accessible from Pala and located in the midst of beautiful hills. ‘A flowery lake where no leaf falls’ or Elaveezha Poonchira, holds great mythological value. It is said to be a place where the characters of Mahabharata namely, the Pandavas and Draupadi, made a visit. This place is located at a height of 3200 feet from the ground. The sun kissed valleys and the scenic mountains make up a mesmerizing view to enjoy. The journey to Elaveezha Poonchira, is done through a narrow, unpaved and rocky mountain path, on a jeep. A small lake just below, named Poonchira, is perennial. During the monsoons the whole valley turns into a lake, as the water accumulates. Just as the name suggests, not a single leaf falls to the valley as the mountain tops are void of trees. In the walk able distance lays a few caves, tribal settlements and ancient burial chambers. Its distance from Kumarakom is around 74 kilometres. 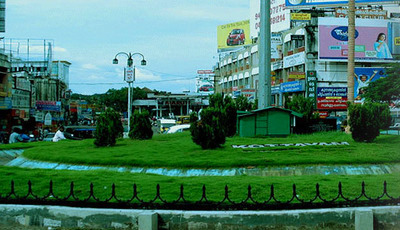 The serene and peaceful town of Vaikom is located in the northwest of Kerala. This place is best known pilgrimage centre of Kerala. Along with this it was also the venue for the protest against untouchability in the Hindu society called Vaikom Satyagraha. This place is located at a distance of 18 kilometers from Kumarakom. The Vaikom Mahadeva Temple is also known as the Dakshina Kashi, is the main centre of Vaikom. Here the main deity is Lord Shiva. The temple is famous for Prathal (midday meal offered by an individual to anybody) and the Annathanam (served by the temple). The temple festival that lasts for 12 days happens in the months of November-December. The musical performance of Panchavadyam that happens then is an important part of the festival. Vaikom is also famous for the personalities who belong from here. Various politicians, writers, actors, singers belong to this serene location. Some of the names are Vaikom Muhammad Basheer (notable Malayalam writer), Mamooty (South Indian superstar), Vaikom Vijayalakshmi (notable singer), V.N. Janaki (well known Tamil Actress & politician) and many more.